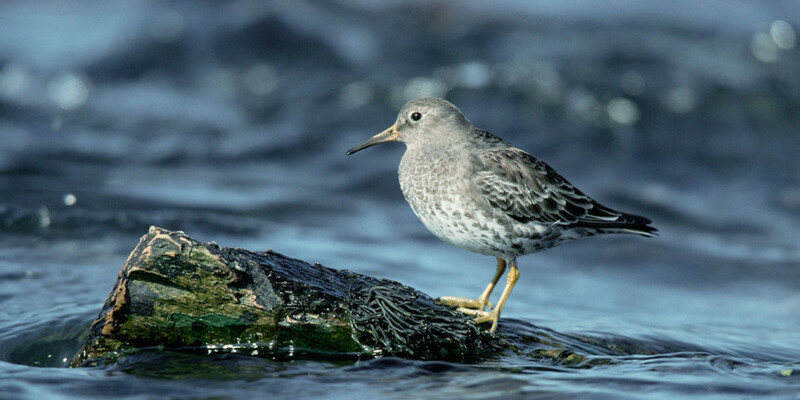 Despite its name, the Purple Sandpiper is more slate-gray and brown than it is purple, but, in the right light, they can look bluish or purple. Their breeding season plumage allows them to blend into the lichens and mosses of their tundra sites. Measuring population size of this species is very difficult because they overwinter along rugged rocky coasts from the Canadian Maritimes and New England to farther south along the coast. We know little about the breeding and wintering ecology of the species, so AFSI partners will focus on building a more solid biological foundation for the Purple Sandpiper.